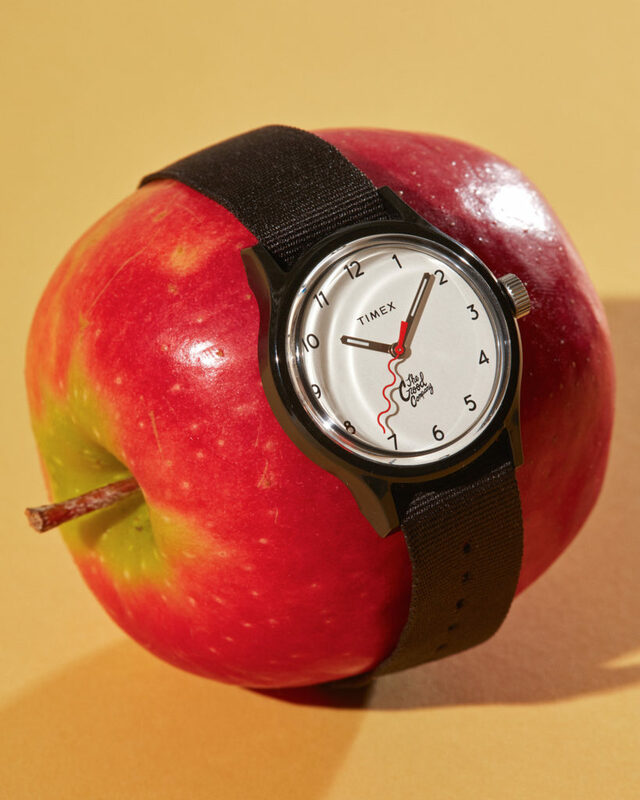 Timex and streetwear brand, The Good Company, come together to launch a limited edition MK1™ watch, using the “Wave” logo as a second sweep and including an additional reflective strap. The Good Company takes its inspiration from the culture and the surroundings of Manhattan’s Lower East Side, site of the brand’s flagship store. The styles brewing in this culturally rich part of New York offers plenty of inspiration for brands. 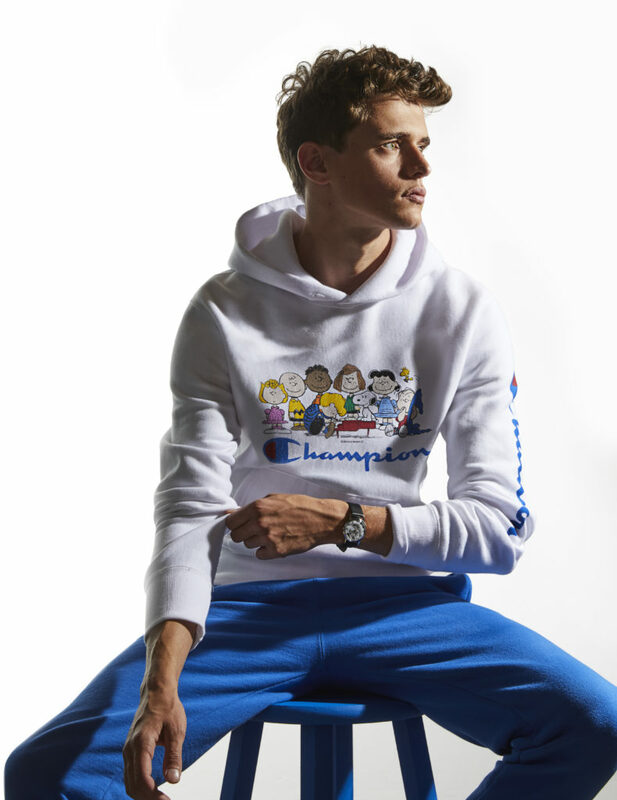 Providing an air of authenticity in an increasingly crowded streetwear market, The Good Company continues to grow and remain a go-to brand. 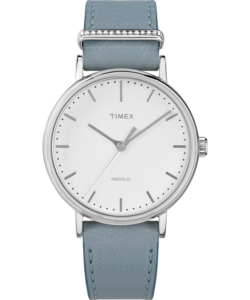 Recently Timex spoke to Quinn Arneson, founder of The Good Company to discuss the collaboration. How did the collaboration with Timex come about? The collaboration came about very organically. A musician friend was in the Timex UK office and wearing our clothing. Guess our name had come up in the past for collaborations and he just connected the dots. What made you choose the MK1 model to do a limited edition? The MK 1 is a simple watch with a lot of history. We liked the lightweight feel to it and the fact that it is affordable, making it more accessible. How did the wave second sweep come about… does it represent anything specific? The sweep came about while looking at vintage and particularly 90’s watches, some of which had second hands actually resembling our wave logo. We were pretty much interested in immediately exploring this option. To pay homage to Memphis Design, a movement which popularized the wave as a motif, we gave the watch a very modern look, stripping the face down to the basics. New York, Tokyo, LA… what can you tell us about the state of the streetwear scene? We feel that the current state of streetwear is in an amazing place. The accessibility of knowledge and the independence that this brings can be a great tool in the right hands. A lot of power has been brought back to the youth, giving many kids a platform to express themselves. We are excited for the streetwear and skate industry. So many small brands are popping up creating a community of creatives and providing a blueprint for those to come. I’m happy there is a continued interest in DIY culture both artistic and entrepreneurial. You’ve included a second, reflective strap. How popular are these straps with consumers? We added the reflective strap for function. 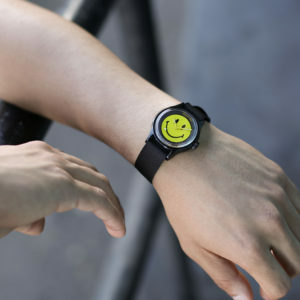 We picture the person who wears the watch lives an active lifestyle. Whether that be skating, biking or walking late night. We wanted to increase visibility and add a modern twist to the overall feel of the watch. 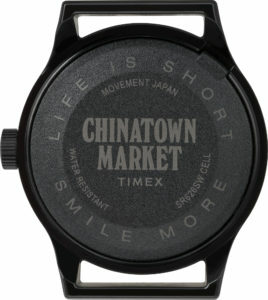 The 36mm case is slightly smaller than your typical watch but very popular in Japan. Do you see this smaller size being adopted by other markets? Japan is very ahead of the curve in terms of fashion and ingenuity. 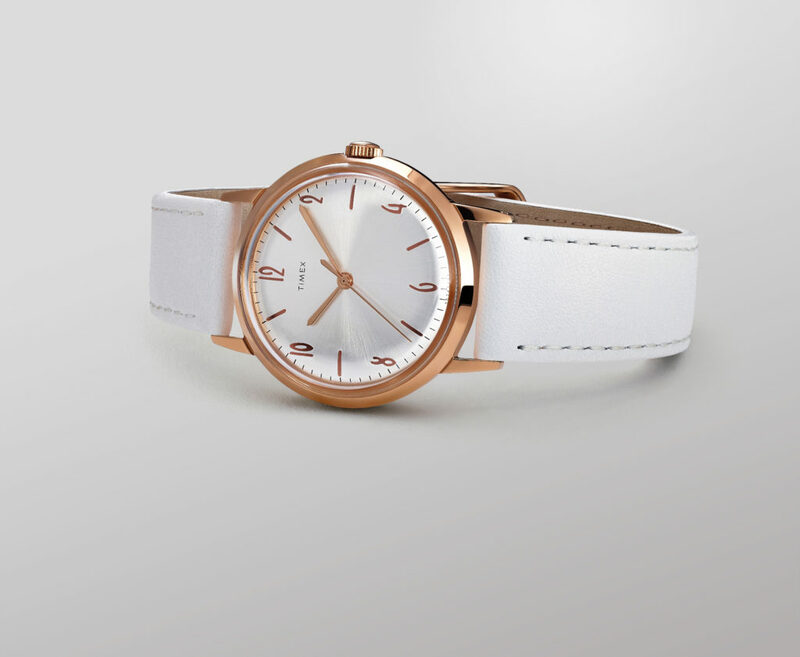 We feel that the MK1 is a classic watch that is durable and makes sense with our brand and customer. 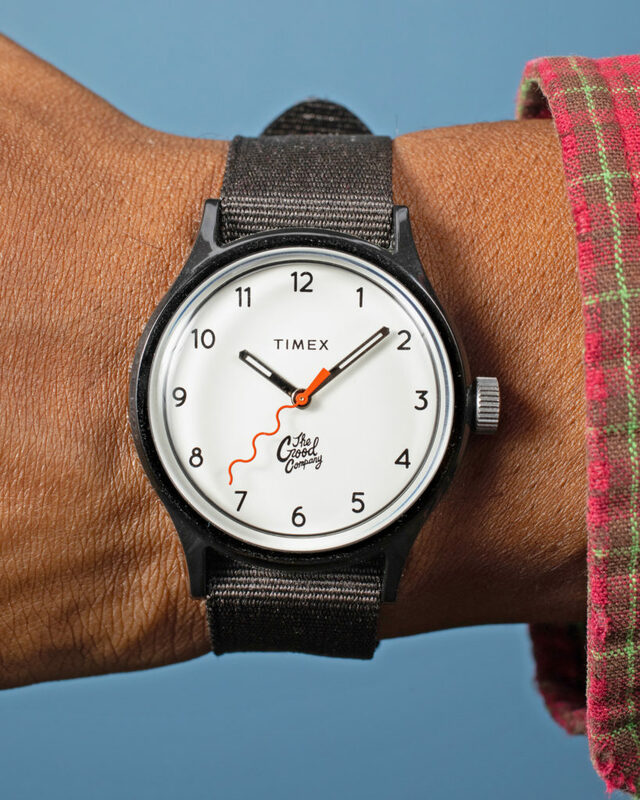 Timex has been around since 1854, how do see the brand being relevant to today’s streetwear style? Timex is reaching out to great people to collaborate with along with updating classic pieces which are two great ways to remain relevant. It’s always cool to see brands with a great history of craftsmanship bring their expertise together with another brand that speaks directly to today’s consumer. We are honored that we have been selected to work on a watch with you. 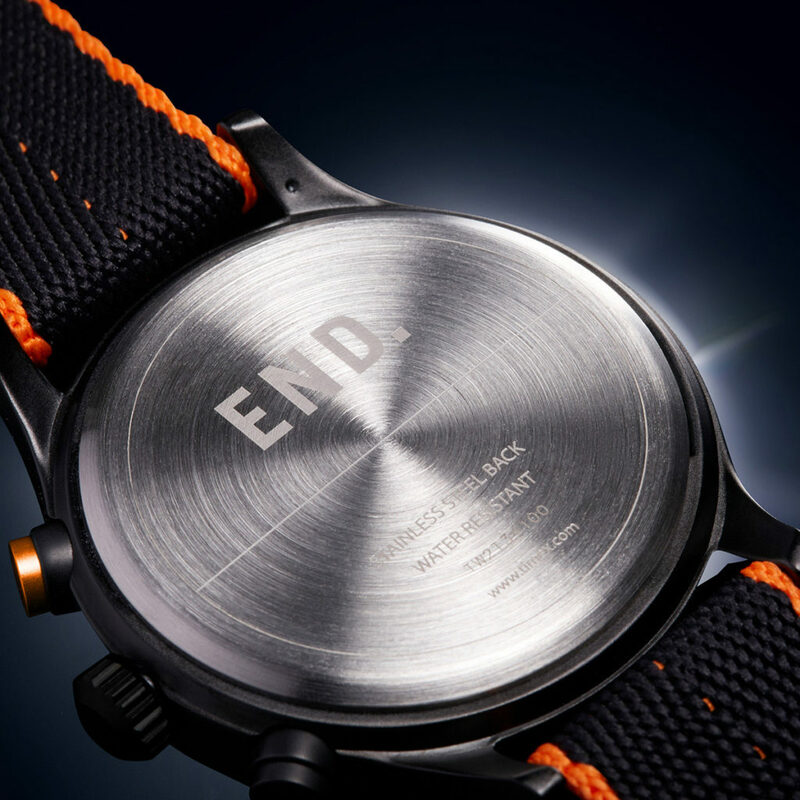 Recently Timex collaborated with END. 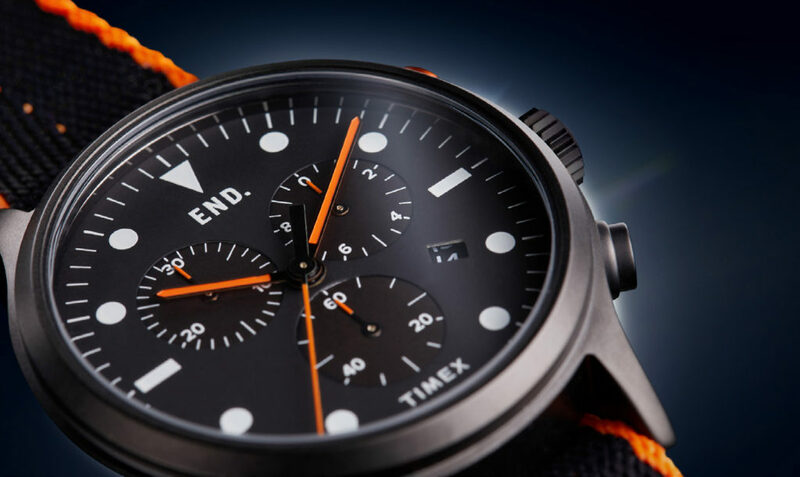 and Neighborhood to produce a limited-edition timepiece based on the Timex Navi series. The timing was perfect as END. just launched a new store opening in Soho, London. Now, Timex and END. partner again to release ‘Timepiece Project .02’ also called the Blackout watch that became available on Black Friday and is available only through END. END. Clothing is a popular UK-based, online retailer specializing in menswear, contemporary designers and streetwear. Featuring over 400 brands, END. has established itself as the go-to menswear retailer online in addition to three shops in Newcastle, Glasgow and London. In addition to collaborating with brands including Vans, Saucony and Adidas, END. has worked on several projects with Timex including the 2017 sell-out of the Timex MK1™ watch. 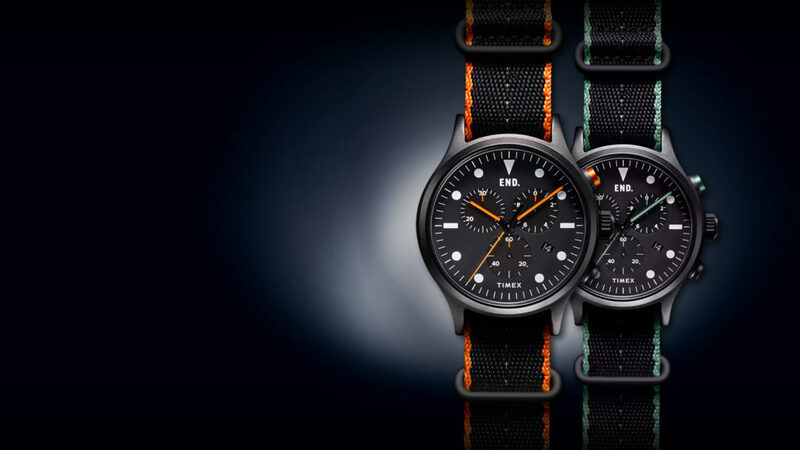 This new limited edition Blackout watch continues the successful partnership. Based on the Allied™ Chronograph model, the Blackout features a black case, black dial and full Arabic dial markings and is available with three strap options. Built with the Timex signature INDIGLO® dial for darker lighting, this classic military-style timepiece has been updated with a quartz movement and chronograph complications. Combining historical know-how with refined design, the Blackout is subtly tweaked with energizing hits of orange throughout. Returning for another year, the END. x Timex ‘Timepiece Project .02’ honors 160 years of watchmaking, drawing on time-tested models and updating and modernizing them for everyday wear. Only 1,500 units are available so be sure this item is on your holiday shopping list. 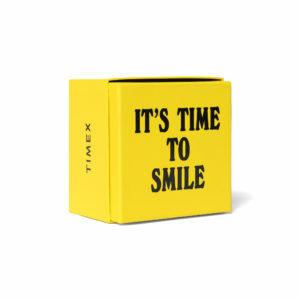 Great for holiday gifts and other special occasions, My Timex offers the ability to create and design your own customizable watch online. This designated space provides a fun and easy way to custom design your own Timex® watch by choosing a case, dial and strap with the additional option for personalization including free engraving on My Timex watch styles. Watches make for great holiday gifts as well as weddings, anniversaries, birthdays, retirements and other special occasions. 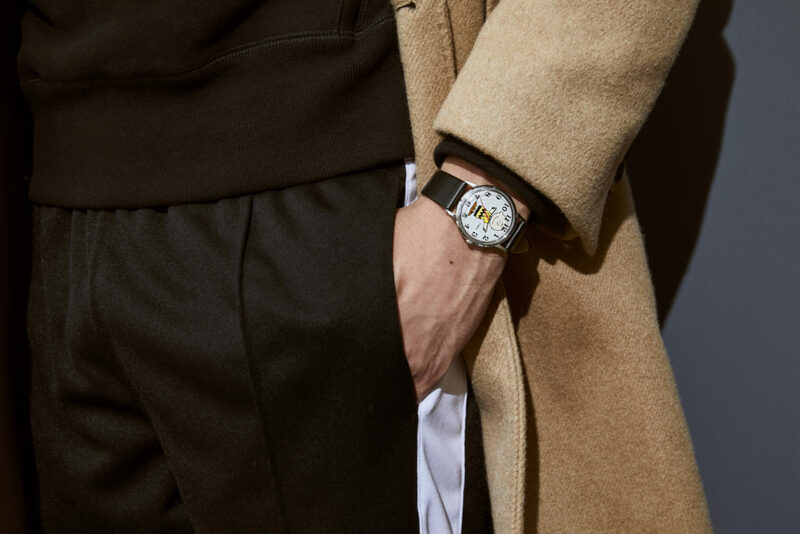 With My Timex, you not only get the opportunity to create a watch to a person’s specific tastes but also add customization that will make the timepiece a true original. 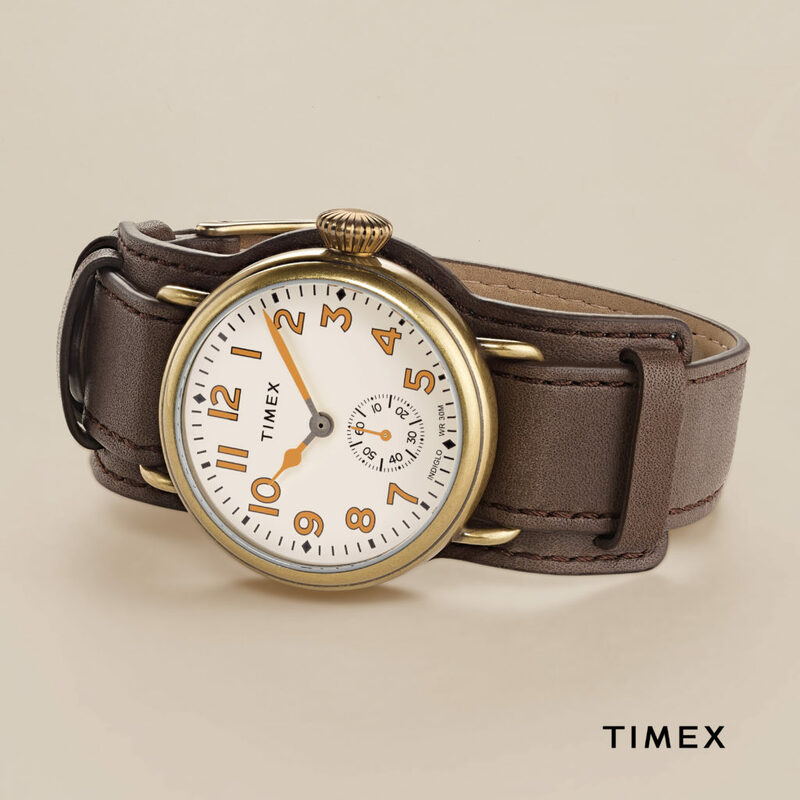 Currently My Timex offers a great selection of Timex watches for customized gifts including the Weekender® Chrono, Waterbury Date 40 and the Scout Chrono. Find the perfect style and then customize it by selecting your preferred dial, case and strap. You can also add an INDIGLO® feature and choose from five night-light colors. Another added feature is to add initials as a monogram to the dial backlight when the INDIGLO® light is enabled. Once you have the watch you want, take advantage of free engraving on the case back where you can add initials or craft a personal message. The engraving feature allows you to choose a font and then write your own personal message using 10 characters per line across up to a maximum of three lines. Great for a spouse, significant other or someone special in your life, a custom engraved message will make this much more than just a watch but a personal keepsake for the wearer to treasure. 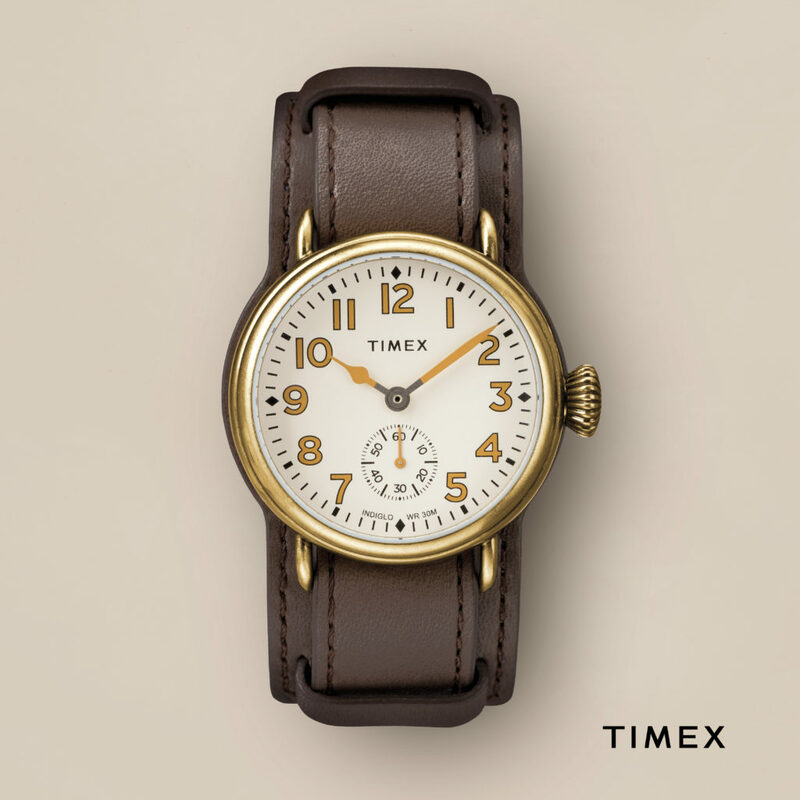 My Timex makes it easy to find the perfect gift. You design the watch online, we craft it and the finished watch is delivered to you in a specially crafted box within two weeks of placing your order. Newlywed couple joining the family? Celebrating a significant anniversary? Simply feeling the love in the air? No matter the reason, gifting his and hers watches could be the best way to recognize the fabulous couple. Couple watches traditionally feature a slightly more robust and masculine timepiece with a feminine counterpart that has a smaller case and dial. Modern couples may also choose his and her watches from unisex models or simply select watches that complement each other. Whether you’re gifting a matching set to your favorite duo or considering his and her watches for you and your special someone, there are plenty of Timex options to choose from. 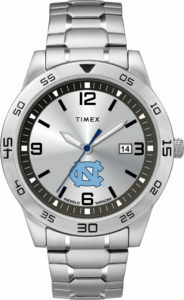 Here’s a quick guide to shopping for Timex his and her watches. Perfect for the effortlessly elegant duo with the expertly cuffed denim and always on-trend details, the Marlin® collection is a reissue of our classic 1960’s design. Choose this hand-wound timepiece for the gentleman and lady who appreciate vintage-inspired mid-century style – complete with the sleek sophistication of a modern watch. We gave our military-inspired timepiece the West Coast treatment with the brightly colored MK1® California collection. These watches are unisex, giving you freedom to simply choose the color combo that suits each of them. Designed with a lightweight nylon strap, water resistance up to 50 meters and the INDIGLO® backlight watch dial, this timepiece is perfect for couples who will love a bold timepiece that complements their adventurous yet laid-back lifestyle. If you’re not sure the couple you have in mind would want his and her watches that are too matchy, choose two timepieces that complement each other instead. Whether it be in color, watch strap or dial design, choose a detail that can unify the two pieces. Alternatively, shop a collection and choose the finishes that complement one another – even if they don’t match perfectly. For instance, the Fairfield Sub-Second may be the minimalist complement to his refined style, while the Fairfield Crystal captures the right touch of glam for her elegant woman-on-a-mission aura. • Anniversary or wedding dates. • The couples’ names or initials. You choose the timepiece and craft your message; we’ll handle the rest. The result is a long-lasting gift for your special someone, a perfectly personalized wedding gift or a thoughtful gesture for the holidays. With that, we’ll leave you to score major points with this timeless gift. Timex has worked with some pretty interesting collaborators over the years, but none quite like Michael Cherman. The founder of Chinatown Market, a go-to brand for the streetwear and skatewear scene, has made a big impact on how brands are perceived by doing things most designers would never try. 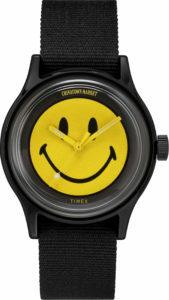 A rebel with a cause, he recently partnered with Timex to launch the Timex X Chinatown Market “SMILEY” watch that will make its debut at the 2018 ComplexCon event in Long Beach. Prior to the event, Timex spoke to Cherman to learn more about how a nice boy from Brooklyn grew up to be a major disrupter in fashion. He began his creative process at the age of 15, selling custom print t-shirts to fellow students at his high school. This landed him the moniker “Mikey Merchandise” and almost got him suspended. The experience taught him that he could make money designing t-shirts and that bucking the status quo was a quick way to get attention. After only one year at the Parsons School of Design Cherman dropped out since he had already self-taught himself the skills that made up the curriculum. “Too many designers believe there is a barrier to their ideas,” he says. Unfortunately, he would learn there are also barriers to building a brand. Instead of treading the same path, he moved to Los Angeles and began Chinatown Market. Named for the unique vibe one finds on Canal Street in New York City, the brand quickly became a success after he sold out his original collection again from the trunk of his car to an eager crowd at ComplexCon. Having worked with other major brands, Cherman was approached by Timex to see if he would be interested in collaborating on a watch. 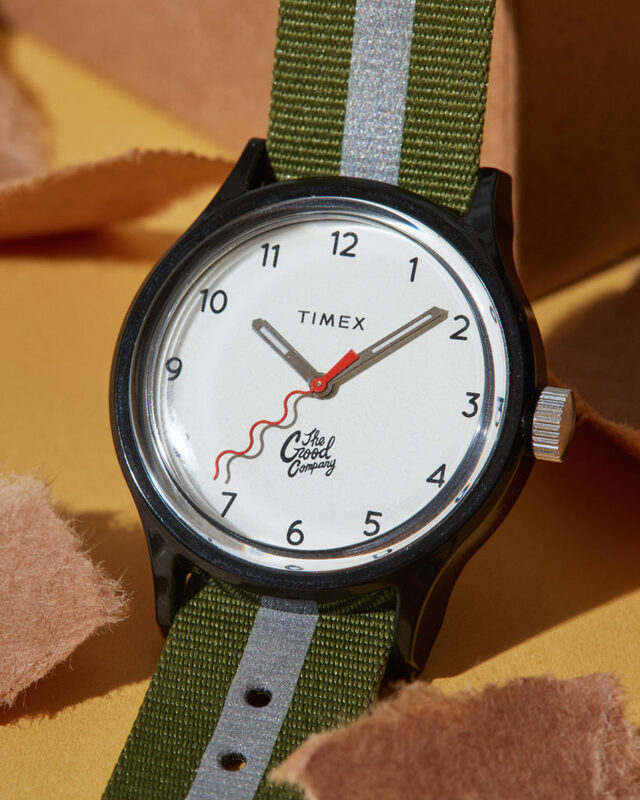 While Timex was looking for a savvy streetwear designer, Cherman was eager to shed his rebel skin, even if just for one project, and work with a brand long on heritage. 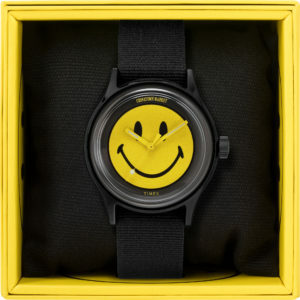 Using the MK1™ style as a base, the Timex x Chinatown Market watch features a black resin case, yellow dial, custom case back and packaging and, of course, the standout yellow “Smiley” dial. No longer the outsider looking in, Cherman will return to ComplexCon, but this time with a real booth and Timex by his side. With the World Series over and the Super Bowl a few months away, sports fans can focus on the exciting season of NCAA Men’s Basketball. 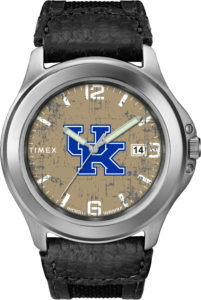 Timex is proud to offer dedicated fans of college hoops teams with our Tribute® Collection. 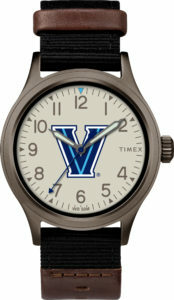 Great for game day, or every day, the collegiate Tribute watches come in a variety of styles for men, women and youth featuring the colors and logos of your favorite teams. Every school is playing for a spot in the coveted Final Four, and here are a few that could be making headlines come March. Villanova: While the defending National Champions may be re-building (four key players from last year left for the NBA) Villanova has topped 30 wins in each of their last four seasons. They have also won two of the last three NCAA titles so don’t expect much of a slide. Kansas: Several highly-touted freshmen gave the Jayhawks the sixth-ranked recruiting class last year. The haul was good enough to have Kansas ranked #1 in the AP and USA Today pre-season polls. How quickly the new faces mature will determine how far Kansas goes. Kentucky: No matter the decade, the coach or the players, Kentucky always finds a way to win. Never at a loss for talent, the Wildcats enter the season ranked #2 and an early season showdown with Duke will be a good test for Kentucky. North Carolina: Pundits aren’t quite sold on the Tar Heels, placing them at #8 in the pre-season polls. But an easy early schedule should give North Carolina confidence-building wins that could propel them to an ACC title and beyond. 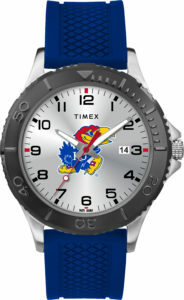 Be ready for the 2018/2019 NCAA men’s basketball season with essential fan gear from Timex.